Hello, all! As promised, here is another card post, this one using a Stampendous stamp I think I have used only once before since I bought it. I don’t regret the purchase, though, as 1) I didn’t pay full price for it and 2) it makes me laugh every time I look at it. I’m hoping it made the friend I sent it to laugh, too! 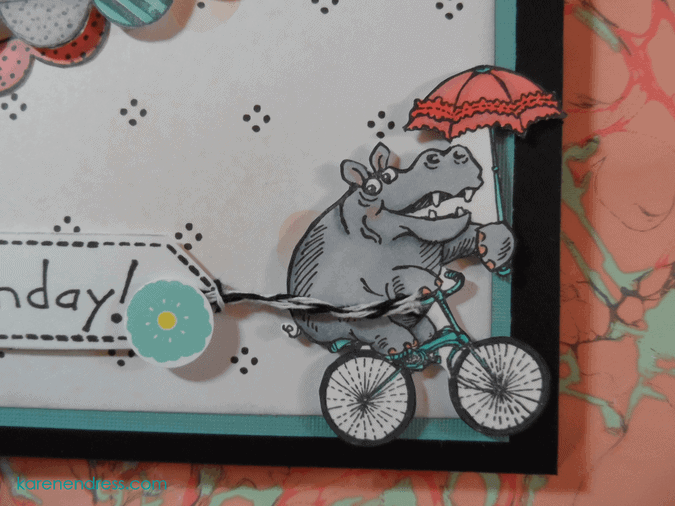 I tried looking up the Hippo Cycle and the Stampin’ Up Banner Boutique stamp set I dug out for this card and, sadly, both are retired. 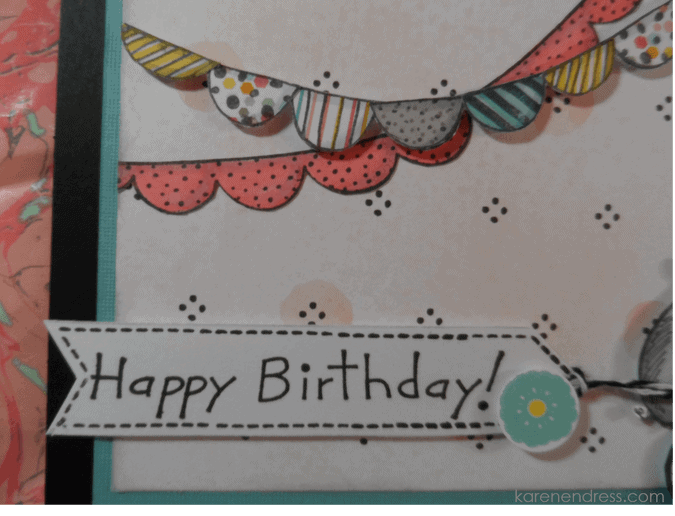 The sentiment stamp came from this Inkadinkado Humorous Birthday set and the dashed line around sentiment is part of the Avery Elle Sending You set. I used a black cardbase (Recollections) layered with an aqua linen textured panel (DCWV mat stack) layered with a piece of pretty patterned paper. This had been lying on my scrap pile for a long time, so I don’t remember where the full sheet came from 🙁 The hippo is colored on Copic-friendly paper I got back when I took a beginner’s Copic class at one of our local scrapbook stores, but is similar to this sold by Ellen Hutson. The banner she is pulling is a scrap of some cheaper white cardstock. For the other banners, I colored the bottom one with my Copics (I got a really nice set for Christmas one year from my DH 🙂 and actually paper-pieced the other, a technique I hardly ever take the time to do. 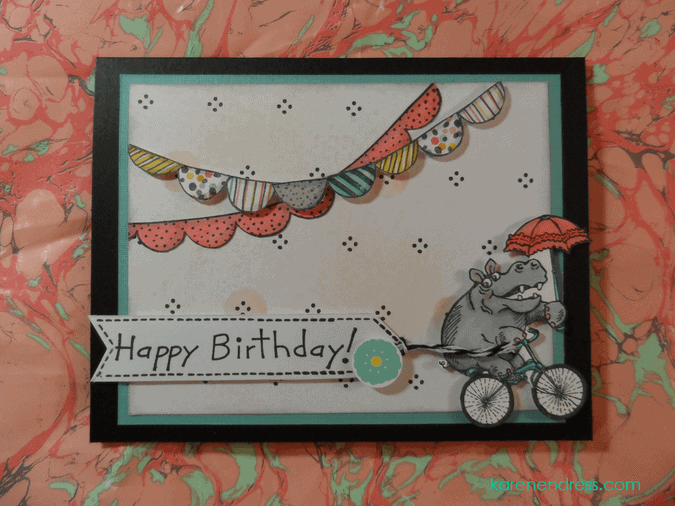 I like the effect here as I found some scraps of American Crafts paper on my pile that matched very well with the color scheme of the card.